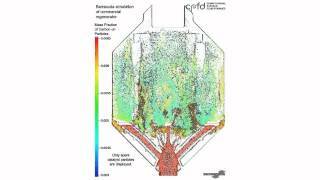 Barracuda Virtual Reactor® from CPFD Software, the world leader in fluidized bed reactor simulation software for CAE/CFD, is now available in a version highly parallelized to run on GPUs (graphical processing units), giving users a speed increase of up to 650%. This innovative use of low-cost GPU hardware means all users can now have a “desktop supercomputer” to deliver faster than ever the game-changing economic improvements Barracuda VR® models can enable in output, efficiencies, time-to-market, and emissions compliance across all segments of global process industries. Barracuda VR Series 16-GPU enables HPC capability and builds on the value that more than 50 Global 500 manufacturers and technology licensors have already attained from CPFD’s proven CAE software package, which is unique in its ability to model 3D reacting flows within fluidized bed reactors (FBRs) and circulating fluidized bed (CFB) reactors. 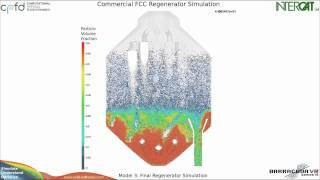 Owners of oil refineries, chemical plants, power generation / gasification plants, and polysilicon FBRs have optimized their reactors’ production rates and yields, increased reactor lifetimes, plus reduced emissions using this unique particle-flow CFD software. Embraced by corporate and plant engineering teams and their contract service partners, Barracuda VR allows them to optimize all fluid, thermal and chemically reacting behavior inside a fluidized bed reactor (FBR). What sets Barracuda VR apart from more traditional, general-purpose CFD software is how it models individual, discrete particulate solids possessing any heterogeneous composition (e.g. coal, coked catalyst, polyolefins), and how it captures the entire particle size distribution for multiple solid species in detail. The complex 3D particle flows are fully-coupled to a user’s chemical reactions, thereby assuring accurate models of FBR behavior, AND with the new GPU-parallel HPC capability it is faster computationally than ever before. Barracuda VR Series 16-GPU was architected to run on the CUDA (Compute Unified Device Architecture) pioneered by NVIDIA Corporation to enable GPU processing on NVIDA GPUs, such as the Tesla, Quadro, and GTX TITAN brand GPUs. Series 16-GPU is well positioned to benefit from the ongoing advances that NVIDIA is making in GPU computing, including GPU cards that already have almost 3,000 CUDA cores on a single card. What is really going on in my chemical reactor, and how much product will it make at the new process conditions? How can the unit’s yield and reliability be increased? 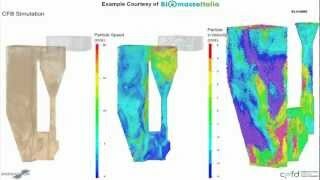 How can it meet new environmental requirements only by design optimization? Barracuda VR was designed with input from CPFD’s global client base of FBR licensors and operators, plus researchers including the USDOE’s National Energy Technology Laboratory. The graphical user interface provides user-customizable features with a logical workflow for fast project setup, as well as easier mesh generation. Interest is increasing rapidly as operational efficiency, cost effectiveness, new energy sources, sustainability and environmental stewardship become important sources of competitive differentiation. Engineering services firms can use Barracuda VR to win new business by taking advantage of the many new chemical processing plants being designed today fueled by the downstream feedstock byproduct of the shale gas industry. Barracuda VR can be your key competitive differentiator to generating incremental service revenue. 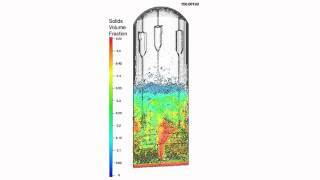 Founded in 2006 by two pioneers in the field of computational fluid dynamics (CFD) modeling, CPFD Software, LLC, is privately held and headquartered in Albuquerque, New Mexico USA and is the worldwide leader in CAE software for industrial fluidization reactors. Their software is used by the global process-industry for oil refining, chemicals, power generation, coal and biomass gasification, renewable energy production, and even polysilicon and pharmaceuticals manufacturing whose growth and profitability are highly dependent on circulating or fluidized bed reactors. CPFD’s Barracuda VR software is easy-to-implement for new product development or optimization of existing units and has provided a compelling ROI to its users. Barracuda Virtual Reactor®, Barracuda VR®, and CPFD® are registered trademarks of CPFD Software, LLC. Since 1993, NVIDIA (NASDAQ: NVDA) has pioneered the art and science of visual computing. The company's technologies are transforming a world of displays into a world of interactive discovery -- for everyone from gamers to scientists, and consumers to enterprise customers. CUDA, Tesla, Quadro, and GeForce are trademarks or registered trademarks of NVIDIA Corporation. More information at http://nvidianews.nvidia.com and http://blogs.nvidia.com. 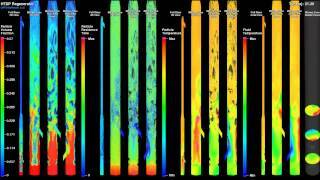 Barracuda is a robust solution for modeling multiphase particle/gas flows, allowing densities up to the particle packing limit, and greater flexibility to include multiple particle materials, size distributions, and chemical reactions. The software is practical for large industrial applications with complex geometry and boundary conditions.